Another week has passed, and the cannabis industry has been buzzing amid a number of developments.The 2018 Farm Bill was finally signed by President Trump Thursday. While most of the U.S. was focused on the huge food stamps program stipulated in the bill, or new provisions concerning crop insurance, the cannabis industry was focused on the legalization of hemp. New York governor Andrew Cuomo confirmed his aides’ comments last week and said he plans to legalize recreational marijuana in the state in early 2019. The U.S. Food and Drug Administration reiterated its position on Friday that cannabidiol (CBD) being an active ingredient in an FDA-approved drug (Epidiolex) cannot be an ingredient in food or sold as a dietary supplement. Nevertheless, FDA Commissioner Scott Gottlieb said there's a possibility that the regulator might review its position. In capital markets, the star of the week was Tilray Inc. (NASDAQ: TLRY), which announced two major partnerships and entering into a letter of intent. On Monday, Tilray said it has entered into a LOI with LiveWell Canada Inc. to buy hemp-derived CBD isolate sourced in Canada and the U.S.
On Tuesday, Canadian cannabis producer said its subsidiary Tilray Canada entered into an agreement with Novartis AG (NYSE: NVS)’s Sandoz AG to develop new medical marijuana products, as well as commercialize them across the globe. 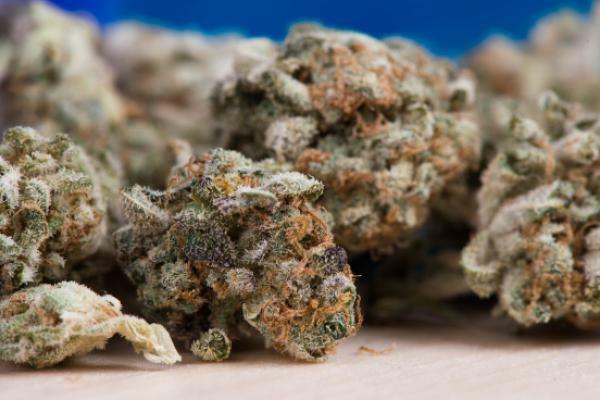 On Wednesday, Tilray announced a partnership between its High Parks Company subsidiary and Anheuser Busch InBev NV (NYSE: BUD)’s Labatt Breweries of Canada to research non-alcohol beverages containing THC and CBD. Between Monday and Friday, the United States Marijuana Index, which includes 16 of the largest marijuana stocks in the U.S., lost 15.4 percent, while the North American Marijuana Index (includes both U.S. and Canadian stocks) slid by 14.8 percent. Among ETFs, we’ve seen the Horizons Marijuana Life Sciences Index ETF (OTC: HMLSF) fell by 12.2 percent, while the ETFMG Alternative Harvest ETF (NYSE: MJ) declined by 10.7 percent. In the same period, the SPDR S&P 500 ETF (NYSE: SPY) inched down by 7.2 percent. Helix TCS, Inc. (OTC: HLIX), best known for its seed-to-sale cannabis tracking software solution BioTrackTHC, entered the Colombian market, where multiple cultivators and processors have started using the software. Canadian producer of premium cannabis products Flowr Corp (OTC: FLWPF acquired a 19.8 percent stake in Holigen, a Portuguese and Australian large-scale cannabis producer. Holigen is on track to obtain a license for one of the largest cultivation facilities in the developed world, which would allow cultivating 500,000 kilograms of cannabis each year. The cannabis capital markets also saw the addition of a new public company, as The Yield Growth Corp. commences trading on the Canadian Stock Exchange under the symbol “BOSS.” Yield Growth owns Urban Juve Provisions, which has 26 products containing hemp oil registered with Health Canada and 11 provisional patent applications in the U.S. In addition, Yield Growth’s other subsidiary UJ Topicals has announced a licensing and distribution deal for a THC- and CBD-infused line of topicals to a store network in Oregon. Treez, another enterprise software system for the cannabis industry, announced a partnership with Tevano Payment Systems. Tevano builds touchscreen hardware for retail kiosks that allow faster in-store fulfillment flow through recording orders and processing payments automatically. H2 Talent has announced its 2 percent Giveback Program found its first recipient – Students for Sensibile Drug Policy. H2, an executive-level recruiting agency for the cannabis industry, launched the program to give back 2 percent of its income to programs that aim to improve career opportunities for those affected by cannabis prohibition or cannabis-related social justice issues. AdLoop, an advertising technology platform for enterprises and consumer brands, announced the launch of AdLink, a tool for advertisers to target consumers for digital consumption more effectively. AdLink allows brands in the U.S. and Canada to target specific demographics for cannabis content consumption. The latest report in Dope Magazine’s six-part investigative series looks at whether or not cannabis is living up to its campaign promises, set out to investigate, address and ultimately explain the complex answers to a simple question: Are legal marijuana markets in U.S. states diminishing illicit cannabis activity? Dope Magazine author Peter Hecht lead the comprehensive investigation detailed in Dope’s December issue covering multiple U.S. states, Mexico, and dozens of related industry operators and stakeholders. Hecht is a California-based journalist and author of “Weed Land: Inside America’s Marijuana Epicenter and How Pot Went Legit.” He is a former political writer and Los Angeles bureau chief for The Sacramento Bee and has reported on the cannabis phenomenon since 2009. The Dope Magazine report titled "Out of the Shadows...Or Back In?" is available in Dope’s free print magazine at retailers across the country and online through the media brand’s recently launched new digital subscription service. iAnthus Capital opening its first dispensary in Florida. Aleafia Health (OTC: ALEAF)’s acquisition of Emblem Corp (OTC: EMMBF) for C$173.2 million in stock. An interview with Chuck Smith, the CEO of newly-public cannabis company Dixie Brands. potential displacement of alcohol and pharmaceuticals. Citron Research’s Andrew Left’s bullish stance on Aphria. The Canadian government’s proposed regulations on edibles. And on many more interesting stories and developments that you can check out in our cannabis section. Viridian Capital Advisors released its Cannabis Deal Tracker for the week ended Dec. 14. The financial advisory firm said that during the week there were five M&A deals in the cannabis space. In addition, there were 10 capital raises for a total of $35.2 million. By comparison in the same period of 2017, there were 17 capital raises for a total of $441.4 million. The largest raise last week was CLS Holdings, USA, Inc. (OTC: CLSH), which raised $12 million in debt. Looking at year-to-date data, Viridian shows there were a total of 584 capital raises, most of which included equity (465 deals) and 366 of the companies that raised capital through December 14 are publicly-traded. In terms of M&A, there were 308 deals between Jan. 1 and Dec. 14, with 237 deals involving public companies. Jan.15–16: Benzinga will host its second Cannabis Capital Conference, this time on Miami Beach, Florida. This networking event for institutional capital and the leading cannabis companies will feature company presentations, panels and keynotes by Giadha Aguirre de Carcer, Danny Moses, Tim Seymour, Jon Najarian, Alan Brochstein, and many others. Get tickets here.